Abstract—Face recognition has been widely used to identify faces according to the patterns of mouth, lip, eyes and so on. Existing face recognition techniques provide a reasonable accuracy. However, their effectiveness significantly degrades in presence of uncontrolled conditions such as variations of background light and image sizes. To deal with this problem, we propose a novel approach based on Classified Vector Quantization (CVQ) technique for face recognition. The new approach divides images into some blocks and each block is classified into several patterns. The Vector Quantization technique (VQ) is applied on the vectors of each pattern. A major benefit of this technique is to consider the geometric structure of face and skin correlations which provide recognition based on changes on human’s age. In order to evaluate our approach, experiments on some standard image databases have been conducted. The results demonstrate the high recognition rate and accuracy of our technique. 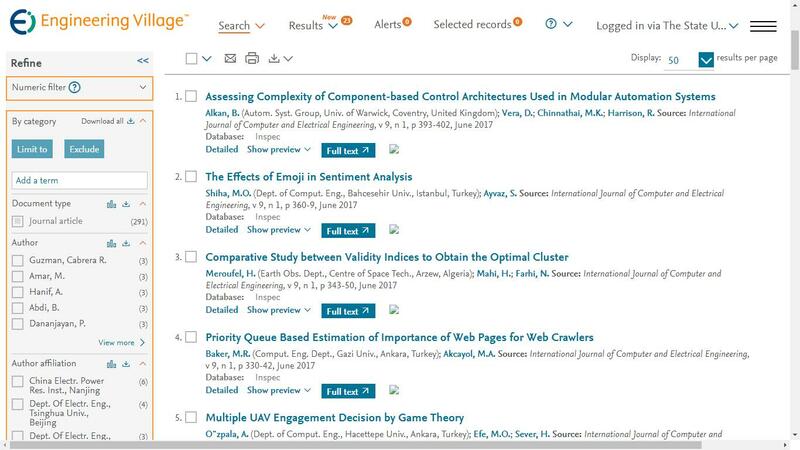 Cite:Arman Mehrbakhsh and Alireza Khalilian, "A Novel Approach Based on CVQ Technique for Face Recognition," International Journal of Computer and Electrical Engineering vol. 4, no. 3, pp. 432-435, 2012.